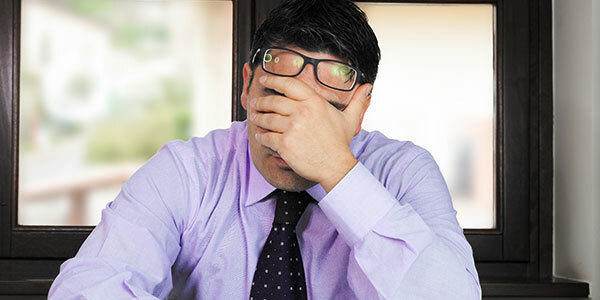 Is your investment advisor making these dumb mistakes? It is often seen that investment advisors make mistakes in client’s portfolio. Check out whether or not your advisor is making the above mistakes. We are not saying that you are dumb because you make mistakes. Making mistakes is not something strange. It’s quite common, it’s human. As per the universal saying, we should always learn from our mistakes. But, I would say that never overlook certain mistakes. In this context, I would like to draw your attention to some mistakes made by the investment advisors that can actually take a toll on your finances. Business is a huge investment. Some advisors tell their clients to have enough cash to support at least six months of their living expenses, as a security against loss of income. But, this doesn’t hold true for all the clients. What if the clients don’t have enough cash in their business accounts? Here, will this suggestion help them in any way? No! If clients don’t have enough cash, then the advisor is overestimating the expenses. Clients should have at least three months of operating costs in their business accounts to ingest the quarterly cash flow patterns. There are investment advisors who make ‘the Kaelin Clay’s mistake.’ Kaelin Clay is a University of Utah wide receiver, who made a mistake of casually dropping the football on the one-yard line. This gave a chance to a player from the opposing team, who took up the loose ball and ran with it back 99 yards in the other direction, which made Clay loose. Overconfidence was the major reason for this misfortune. This situation also holds true for many investment advisors. There are investment advisors who are guilty of the functional equivalent. There are cases, where they become overconfident with their knowledge. This leads them to make some casual mistakes just as Clay did. But, ultimately the client has to suffer. An investment advisor’s job is to help his or her client earn returns on his or her money. A good investment advisor will ask you series of tough questions, whether or not you have a strong financial plan, about taxes, and so on. There are advisors who promise to do everything related to your investments. But rarely is the case, where they can do what they’ve promised. When financial institutions handle your money, they send you statements directly. The situation is totally different, when your advisor handles your money directly without keeping it in a financial institution. This is really dangerous! If your advisor isn’t keeping your money in a financial institution, then you may face a problem. Remember, your money is always well-protected in any financial institution, and you can keep track of your money as well. Investment advisors often make the mistake of managing investors’ money all by himself or herself. Ultimately, it’s the investor who runs the risk of losing his or her money. A good investment advisor should always carry out a proper market research before prescribing his or her advice to clients. Some advisors often make the mistake of not backing up their investment strategies with proper academic research. So, before you make any investment, make sure your advisor has a sound knowledge of the current investment market. Investing in mutual funds is risky. According to experts, contributing to many mutual funds can be a bad decision for investors. If your investment advisor is asking you to invest in mutual funds again and again, then make sure you do your research well. An investment advisor holds a good knowledge of the investment market. So, when we hire an investment advisor, we believe him or her blindly, which is completely right. But remember, investment advisors also make mistakes. Your finances may get hurt due to your investment advisors’ wrong advice. So, it’s suggested that before you make any investment on the advice of your investment advisor, make sure you judge the situation well. You shouldn’t forget that ultimately your finances are at a risk. I hope that I have been able to guide you about the mistakes that investment advisors make. Do you have any other points in mind? If yes, then don’t forget to share your thoughts and experiences with me. I’ll eagerly wait for your comments. Page loaded in 0.883 seconds.